City and Colour recently announced the dates of their UK and European tour to support the release of their newest album, The Hurry and The Harm. This year witnessed City and Colour’s widely acclaimed album, The Hurry and The Harm, achieve critical and commercial success worldwide. The album debuted Top 40 status in multiple UK and European territories as well as hitting the number one spot upon release in City and Colour’s native Canada. With an arena tour of the UK as the support act for Biffy Clyro and an intimate show at London’s Bush Hall that sold-out-in-minutes, 2014 is surely set to see the star of City and Colour rise even higher. Dallas Green’s new touring band includes Jack Lawrence (The Raconteurs, Dead Weather) on bass, Dante Schwebel (Hacienda, Dan Auerbach) on guitar, Doug MacGregor (Constantines) on drums and Matt Kelly on pedal steel guitar and keys. Tickets will go on general sale at 10am on August 30 with 02 customers being allowed exclusive access to a 48 hour pre-sale for the Academy shows from 10am on August 28. 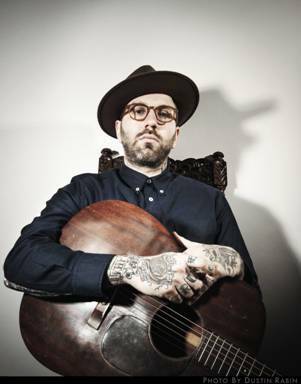 City and Colour, AKA acclaimed singer, songwriter and performer Dallas Green, released his highly anticipated new album The Hurry and The Harm on June 3 on Cooking Vinyl. The Hurry and The Harm is Green’s fourth release as City and Colour and follows 2011’s Little Hell which received widespread critical and commercial praise. The album debuted at number 1 on Canada’s Top 200 Chart, number 28 in the U.S., number 2 in Australia and appeared in the top 40 in the U.K. Little Hell went on to be certified RIAA Platinum in Canada and RIAA Gold in Australia. Widely recognised for his live performances, City and Colour has sold out countless shows worldwide, including sold-out UK headline performances at London’s Royal Albert Hall and two nights at The Roundhouse. He has also performed at Bonnaroo, Coachella, Sasquatch, Austin City Limits, Lollapalooza, the Newport Folk Festival and Glastonbury Festival. Recorded at Nashville, Tennessee’s Blackbird Studios during the autumn and winter of 2012, the new album was produced once again by Alex Newport (At The Drive-In, Death Cab for Cutie and The Mars Votla). In addition to Green, the album features Jack Lawrence on bass (The Raconteurs, The Dead Weather), Bo Koster on keys (My Morning Jacket), Matt Chamberlain (Pearl Jam, Fiona Apple) and James Gadson (Bill Withers, BB King) on drums and Spencer Cullum (Caitlin Rose) on pedal steel. Of the new album, Green comments: “I don’t have a lot of faith in myself so it is hard for me to have a lot of faith in something I have created. But I’ve never been happier or prouder about something that I have done.” And he should be proud. Unlike 2008’s album Bring Me Your Love which had a raw sound to it, The Hurry and The Harm has a much cleaner sound. However, Green hasn’t lost the ability to still capture all the emotion and rawness in his songs that make them so easily accessible to audiences. In songs like Of Space and Time, Paradise and Two Coins the old style City and Colour can be heard clearly – the echoing live sound, the natural unstrained vocals and the amazing acoustics. On the other hand, tracks like Commenters and Thirst bring forward City and Colour’s rockier sound. The Lonely Life has lyrics that you will instantly fall in love with, “What if I did not love you/Where would that leave me?/Would I wander through the avenues/Under a pool of misery/Would I be faced down in the gutter/With cheap whiskey on my breath/The lonely life of a writer/Whose words could not pay his debt/Saying please don’t/Please don’t pass me by/I am alive oh can’t you see/That I’ve been blinded completely…” The chorus is bound to go round and round in your head, especially towards the end of the song when the rest of the instruments are stripped back leaving Green’s vocals completely exposed. Paradise has to be the most familiar track on the record with a lot of the elements heard on 2008’s Bring Me Your Love album seeping through. The echoing vocals, the live sounding acoustic guitar and harmonies all help to reassure the listener that they are still listening to a City and Colour album. It’s one of a few tracks on The Hurry and The Harm that is purely acoustic with only vocals, guitar and soft drums being played. It’s one of the simplest tracks on the album yet probably the most memorable and effective. Similarly, Take Care is solely contains Green’s vocals and acoustic guitar and again works perfectly to be one of the most effective songs on the record. Take Care has a fantastic guitar riff which isn’t far off from sounding like something Nick Drake or Richard Thompson may have invented. 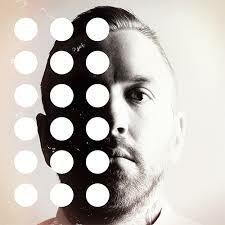 Thirst is a dark song but not in City and Colour’s normal way. The music itself is more intense with more distortion and echo on the guitar and vocals. It’s not a song easily recognised as belonging to City and Colour. It has a more of a rock sound than an acoustic sound but there are numerous layers to this track that keeps it interesting. Two Coins is another track where the original raw, acoustic sound so loved by City and Colour fans can be heard. The acoustic guitar blends perfectly with the deeper, distorted notes of the electric guitar. Green’s vocals are innocent and soft. It’s a really emotional track especially where Green sings, “I’ve got wicked thoughts a brewing/Many evils deeds I’ve done/I’m looking for a reason/For a reason not to run/I’ve always been dark/With light somewhere in the distance…” It’s a song about human kind’s quest to find happiness and to remove that darkness and move into the light. City and Colour has produced a wonderful album in The Hurry and The Harm with their sound still remaining distinctive yet at the same time always feeling fresh. There isn’t a bad track on the record. It’s 100% guaranteed you’ll fall in love with this record from the first note. City and Colour will celebrate the release of The Hurry and The Harm with a forthcoming European tour that includes a sold-out performance at London’s Bush Hall. The shows will feature a brand new touring band including Jack Lawrence (The Raconteurs, Dead Weather) on bass, Dante Schwebel (Hacienda, Dan Auerbach) on guitar, Doug MacGregor (Constantines) on drums and Matt Kelly on pedal steel guitar and keys.